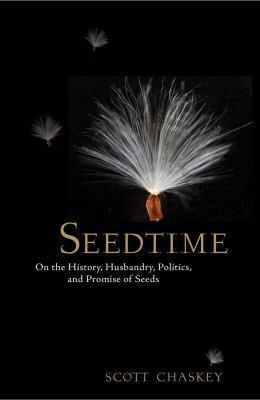 HOLDS: Message us on Facebook with your seed orders, or email lneedell@rcls.org. We will put your orders together and notify you when they are ready for pick up from the basket on the holds shelf (near the Circulation desk). This will likely take a few days--we strongly recommend attending Open Hours if that is at all possible. Seed orders will be clearly labelled with your name. 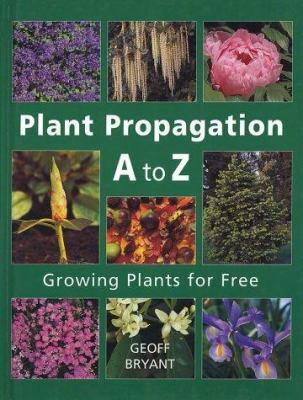 Our inventory will be posted here and on Facebook (Nyack Seed Exchange), and a printed copy will be kept on our display case. 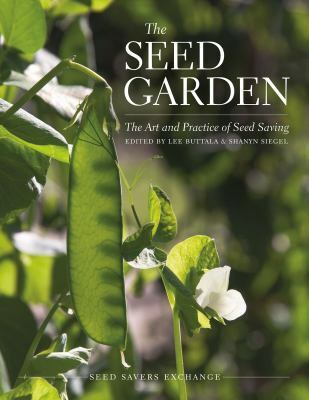 ​and experience, to learn about seed saving, to become better gardeners, and to build community. 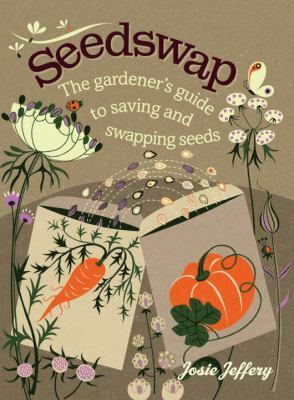 Seeds are available for checkout; we ask gardeners to save seed from plants that are easy for seed saving, such as tomatoes, peas, beans and lettuce. Members are encouraged to return saved and store-bought seed to replenish our collections. 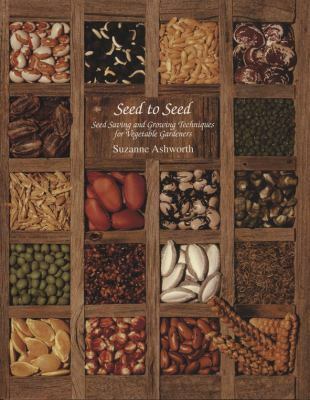 As members learn more about seed ​saving, they might want to try seed saving from plants categorized as "Advanced." We ask members to clearly label saved seed donations (use our seed packet labels as a guide), including whether seeds were organically grown. 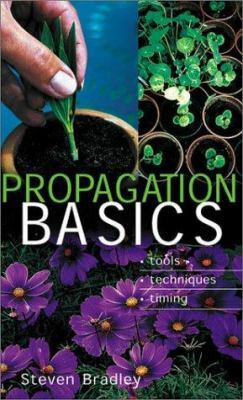 We support organic gardening, but we will accept donations from all gardeners. 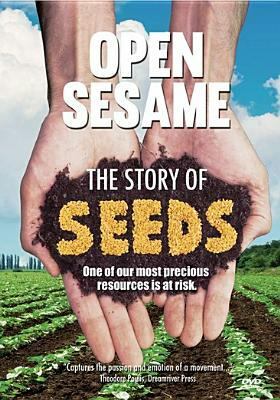 Most of our commercial donors have signed the Safe Seed Pledge, and many of our seeds are organic. ​​​Please join our Facebook group, Nyack Seed Exchange, and join the discussion! 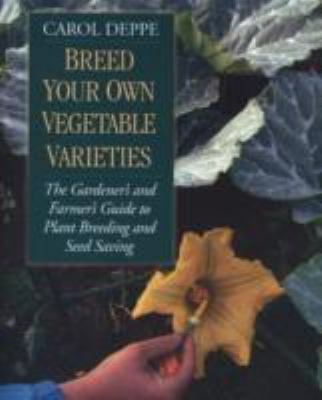 Vegetable Seed Saving Handbook - Jack Rowe's online guide to seed saving includes instructions for more than fifty vegetables. ​Our seeds and programs are free to members (and everyone is welcome to become a member), but we do have expenses. If you prefer to make a financial donation, please make your check out to The Nyack Library with a note in the memo: "seed library." Thank you! Nyack Seed Exchange gives thanks to our generous donors: ​Baker Creek Heirloom Seeds, Burpee, Fedco Seeds, High Mowing Organic Seeds, Hudson Valley Seed Company, The Living Seed Company, Ocean State Job Lot, Pinelands Nursery, Redwood Seeds, Renee's Garden, Salerno Seeds, Seed Savers Exchange, Seeds of Change, Southern Exposure Seed Exchange, Sow True Seed, and University of Rhode Island Cooperative Extension. Please check their websites (and YouTube! ); they are an excellent source of information. We also thank the individual gardeners who took the time and trouble to save and donate seeds to us, and the volunteers who helped organize it all. And thanks to Dan White, for designing our logo. When you donate saved seeds, please provide as much of the label information as you can! 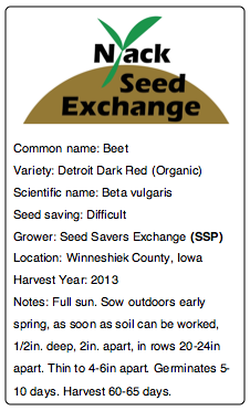 You can print a .pdf of our seed package labels by clicking on the "Seed Label Template" link above. ​Please make sure your seeds are dry before packaging for donation.